While today trees are often given heritage value, in the 1940s and 1950s much of the emphasis was on architecture. As a result, it was a rather progressive move when the Archives and Landmarks Committee identified several trees as historically significant. In keeping with their focus, these trees relate to early Edmonton's leading men. 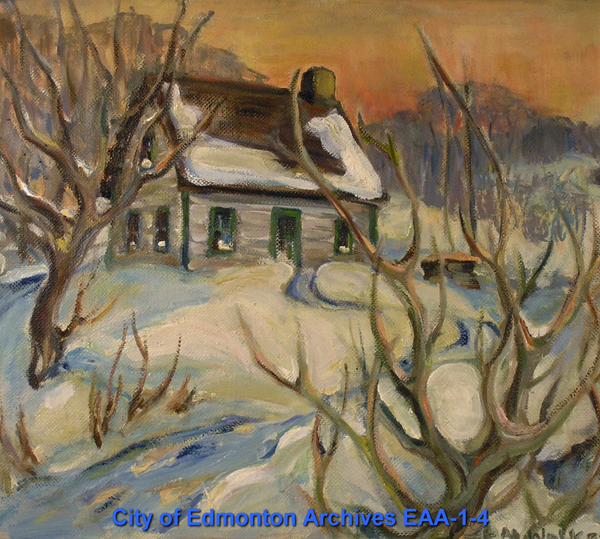 A list was compiled and sent to the City of Edmonton Parks Department with a request that the trees be given special care. 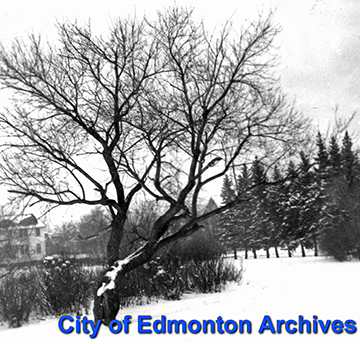 This Manitoba maple tree was planted by Richard Hardisty around 1875 as part of a row that circled his garden. Hardisty was Chief Factor of the Hudson's Bay Company from 1872-1882, and was one of Edmonton's leading citizens. 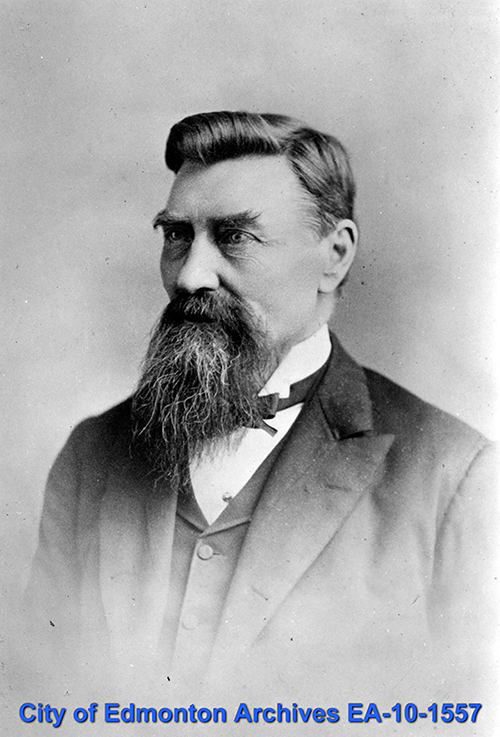 He built the first house outside the walls of the Fort, and became Alberta's first Senator in 1888. 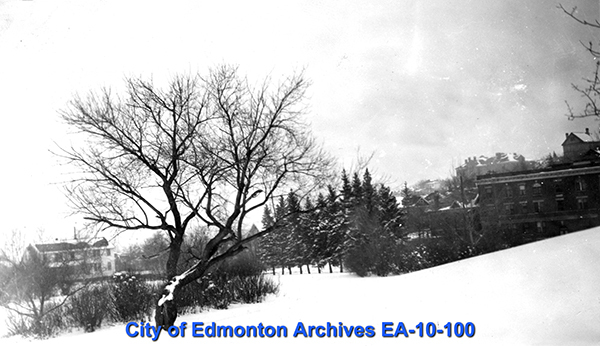 In 1954 the tree was moved from its original location to the south side of the Legislature grounds to make way for the new Highways Building (106 Street and 97 Avenue). 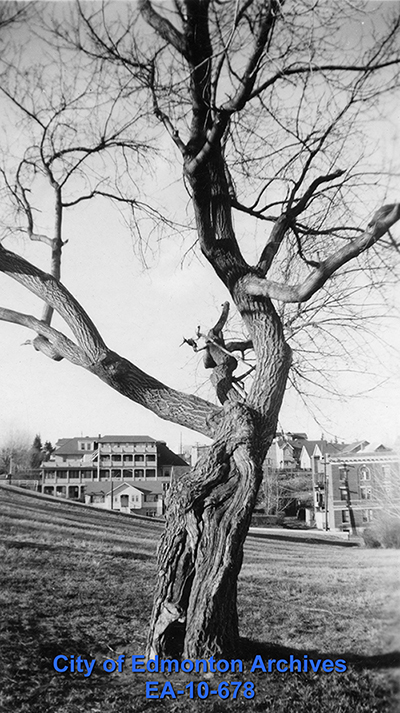 The tree failed to take in its new location, and died in 1958. Another Manitoba maple, this tree was planted by early homesteaders Laurent and Eleanor Garneau at the rear of their home. Laurent was Métis, and well known in the area as an excellent fiddler, as well as for his role in the Red River Rebellion of 1869, where he served as one of Louis Riel's soldiers. 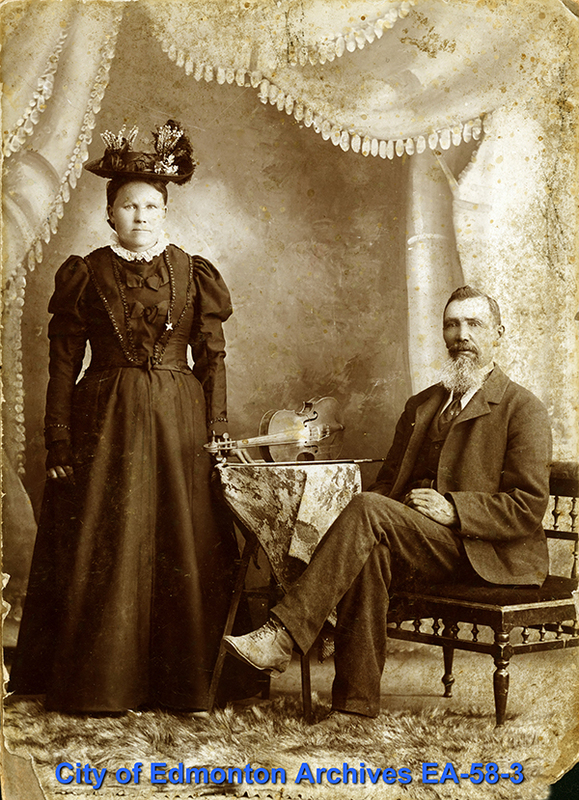 The Garneaus moved to the south side of the North Saskatchewan River in 1874, where Laurent worked for the Hudson's Bay Company as a charcoal burner and later as a freighter, before moving to St. Paul in 1901. Around 1943 Ella May Walker interviewed Annie (McKernan) Turnbull, daughter of Robert McKernan, as part of her research for Fortress North. In this interview, Mrs. Turnbull recalls her childhood memories of the 1875 North-West Rebellion. Fear was rampant among settlers, and many false reports circulated of marauding parties of Métis and First Nations. 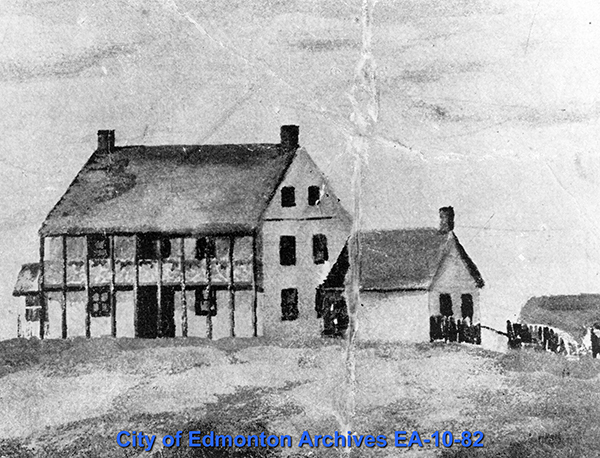 As described in the interview, one such report caused nearby settlers like the McKernan family to seek shelter behind the walls of Fort Edmonton, and resulted in the brief imprisonment of Laurent Garneau at the Fort. 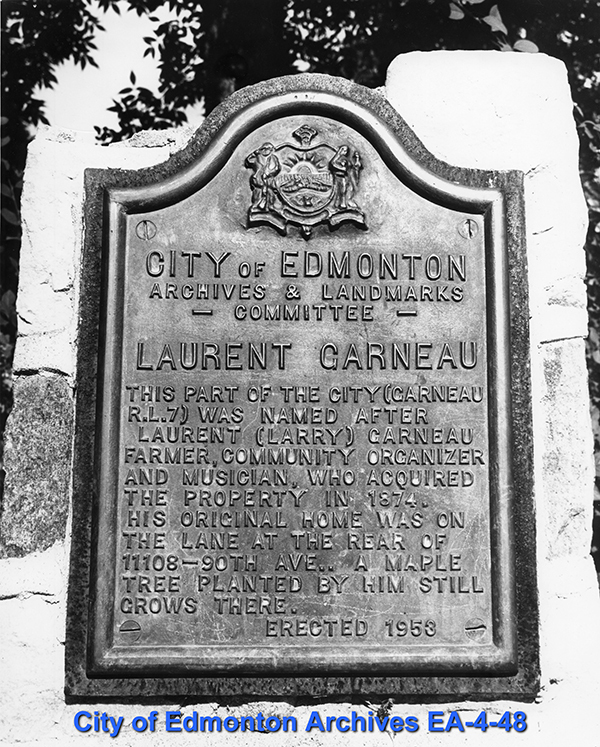 The Archives and Landmarks Committee placed a plaque at the juncture of 110 Street and Saskatchewan Drive in 1953 to commemorate Garneau and the tree. 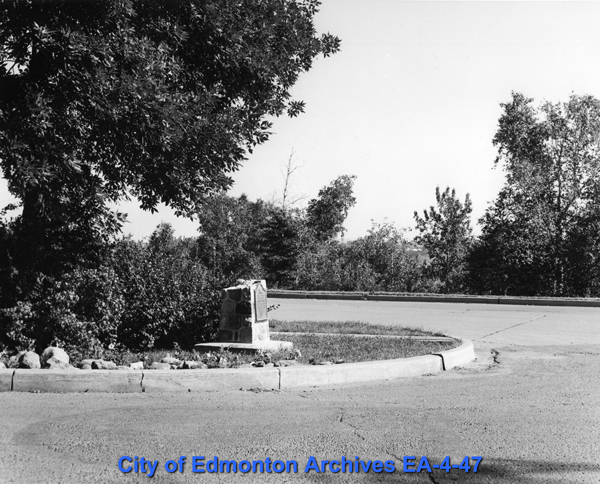 Thirty years later, in 1983, a second plaque was erected by Frances Cruden through an Emil Skarin Fund grant from the University of Alberta. This plaque was at the base of the Garneau Tree on 111 Street just north of 90 Avenue. The tree was removed for safety reasons in September 2017.